Because many of the Demarco and De Marco families who found themselves in Scotland inter-married the relationships can sometimes be difficult to work out. So let’s see what we can unravell. It does get quite complicated so we must do one branch at a time. But we must remember that the branches who settled in Glasgow, Edinburgh and Selkirk are all one and the same with their common roots back in Picinisco. Whilst researching the various branches of the Demarco family we find common surnames, Pelosi, D’Ambrosia and Corio being three families whose sisters and brothers would all marry into the Demarco family. Occasionally we can find a Crolla, a Valvona, a Rossi, a Valente and a Capaldi, just to spice up the family every now and again. There were other branches of the family who settled in Salcoats in Manchester but wherever they settled you find the same social interaction between the above named families. We travel back to Italy and find CARMINO DEMARCO who was a Farmer and he lived in the village of Picinisco in Italy with his wife Mariccia D’Ambrozia. Carmino has been described as an ‘Artists Modeller’ and we already have discovered that some of their family moved to Paris to ply their good looks and to model for the Artists of the Day.They had several children and we are discovering them one by one and finding out a bit more about their lives after their great exodus from Italy. Alfred Demarco we have to trace. Carmine Demarco married Teresa Crolla. Gregorio Demarco married twice. FIRST to Georgette Bullour. They had one son who tragically died when he was only 20 years in an accident which left him with a fractured skull. Gregorio was widowed shortly afterwards. 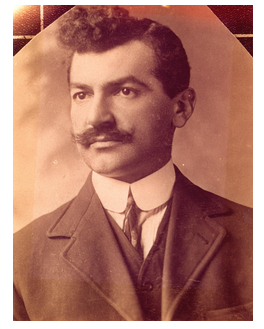 In 1903 he re-married Maria de Luzzio, whose parents were also in the Ice Cream Businesses. She was thirty years younger that Gregorio. Antonio Demarco married Maria Giuseppa Corio. She was affectionately known as Peppina. She was born in 1862 and died in 1915 at 24 Corporation Buildings in Portobello. Her father was Antonio Corio, a farmer from Italy. Their son Carmino Demarco was born at 141 High Street, Dunbar on 11th August 1901. It was also their daughter Maria Demarco and son-in-law Gabriel Demarco who ran the Malmaison Mansion in Portobello. 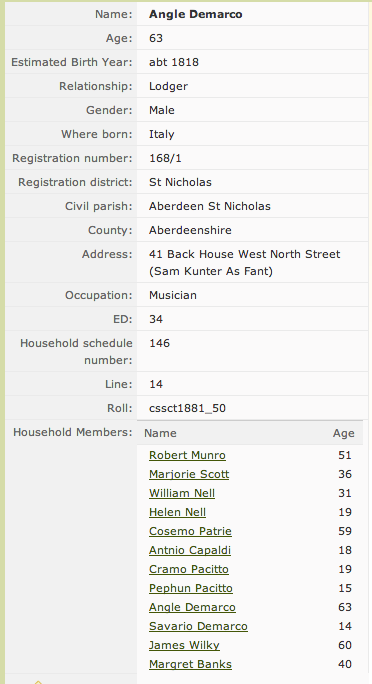 Michele or Michael was born in the year 1851 in Picinosco and he married Caroline Pelosi [Pelosi is also another well known Italian/ Edinburgh family who have made their own unique history with their famous Luca Ice Cream Parlours in Musselburgh} whose family also were rooted in Picinisco. Michel and Caroline settled in the Promenade in Portobello and were very much a part of the history of the Demarco family in this area at the time. Michele died in the year 1916 at his home at 38 Promenade in Portobello. Their son GABRIEL DEMARCO married his first-cousin Maria Christina De Marco. Gabriel was born in the year 1885 in Picinisco in Italy. Gabriel and Maria had two children, Umberto was born in 1902 and died in the year 1977 in Edinburgh. 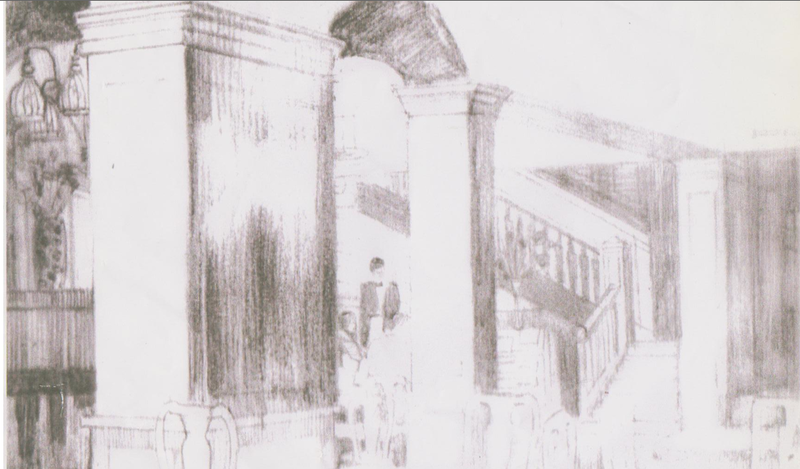 Umberto went on to become a musician and he perhaps worked in the Malmaison on the Promenade. When he married in St. Joseph’s Chapel in Peebles in 1929 this was in fact his occupation and his address given as 40 Promenade, Portobello. His wife was Candida Donfrancesco and she was from Peebles. Her parents were Antonio Donfrancesco who was a master Confectioner and Filomena Palermo. LUIGI DEMARCO was born circa 1844. He was most probably the brother of Carmino above. 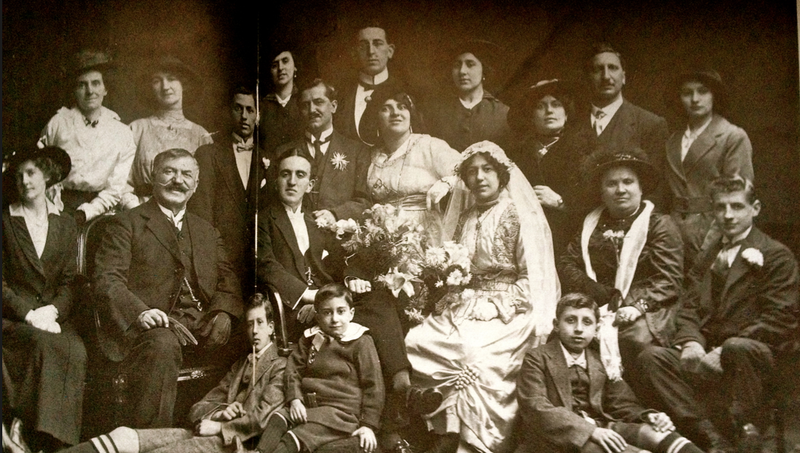 The family Demarco were all photographed in the year 1915 at the wedding of Luigi Arcari, and Giulia Demarco. Luigi is sitting in the front row next to the groom. Also in the photograph is Gabriel and Cristina Demarco who as we now know were the proprietors of the Maison Demarco. I will post this photograph soon. Luigi settled at first in Brighton where other branches of the family had made their lives. Then up to Glasgow where we find them in the year 1891 2 Corn Street in Glasgow. His business there was in the confectionery line. 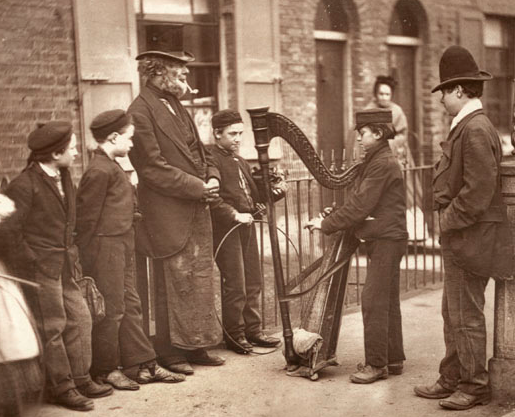 The census tells us that up in Aberdeen in lodgings were two street musicians, Angelo Demarco age 63, and Severino Demarco age 14, who would more than likely to have been his grandson. ALFONSO DEMARCO settled in Dundee with his wife Giacinta Pelosi. Giacinta was born in the year 1878 in Italy. 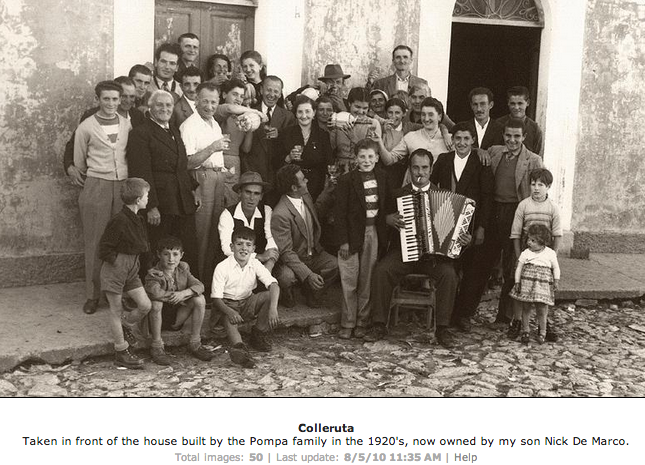 Giacinta’s parents were Michelangelo Pelosi and he was a ploughman or farmer in Italy. Her mum was Nunziata Arcari. Alfonso and Giacinta lived at The Cross in Carnoustie. She died at the tender age of 41 years. IN THE YEAR 1919 there was a marriage between Luigi DeMarco, Confectioner who lived in Arbroath. HIS PARENTS WERE GIOVANNI DEMARCO AND CARMELLA CROLLA. His new wife was Maddalena Valente who was from Brechin. 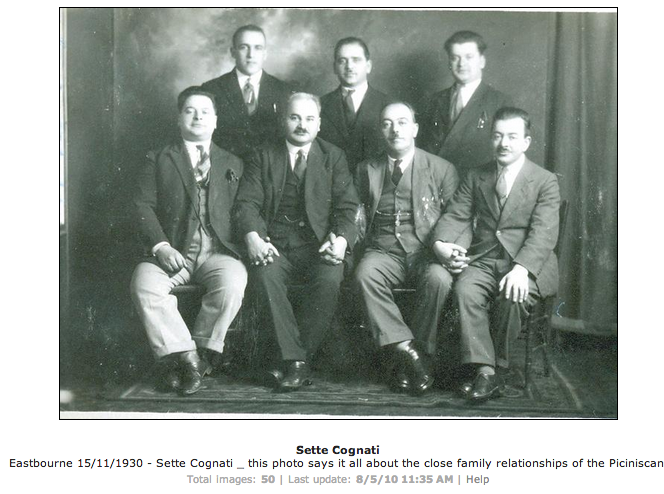 The Valente family are also from the Picinisco Region in Italy. 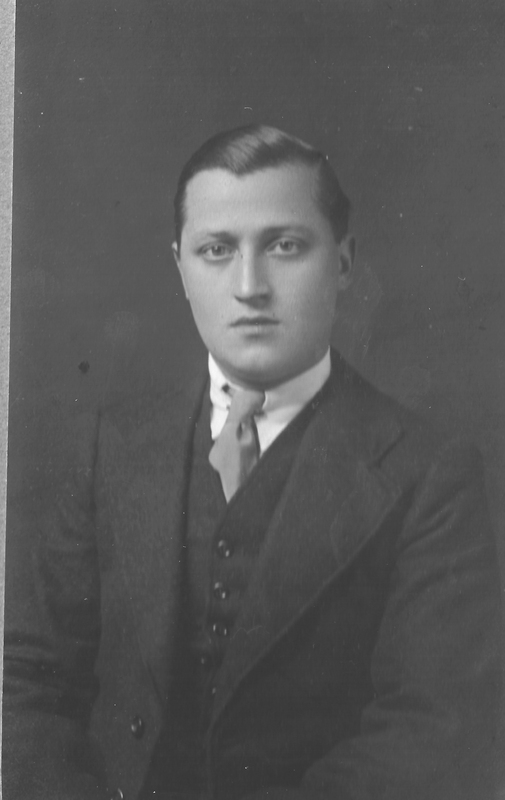 Vincenzo Demarco, was another son of Giovanni Demarco and Carmella Crolla. Like most of the family at this time his occupation was one of Confectioner . These immigrants knew how to satisfy the sweet tooth of the Scots nation. He married Marianna Rossi whose family had settled in Dundee. Her parents were also in the Confectionery business. 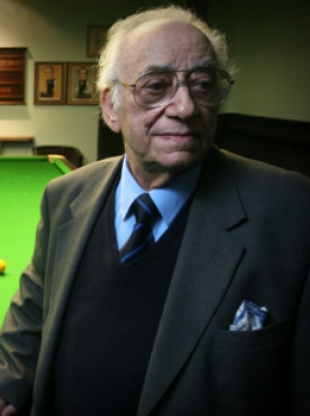 A LEGENDARY snooker figure known to Capital fans as the man behind the Marco’s Leisure Centre has died. The name of Bert DeMarco has long been a byword for the sport and at one time he even coached a 14-year-old prodigy from South Queensferry named Stephen Hendry. Bert, who himself was once the country’s highest ranked professional player, died at the age of 87 after a short illness at Edinburgh Royal Infirmary.A five-time winner of the Scottish Amateur trophy and two-time Open winner, Bert opened his first club, The Angle Club, in Morningside Road in 1975. THIS INFORMATION has been copied directly from information given via Billy and his sister Andrea. This is their direct line and goes directly back to Italy circa 1500s. 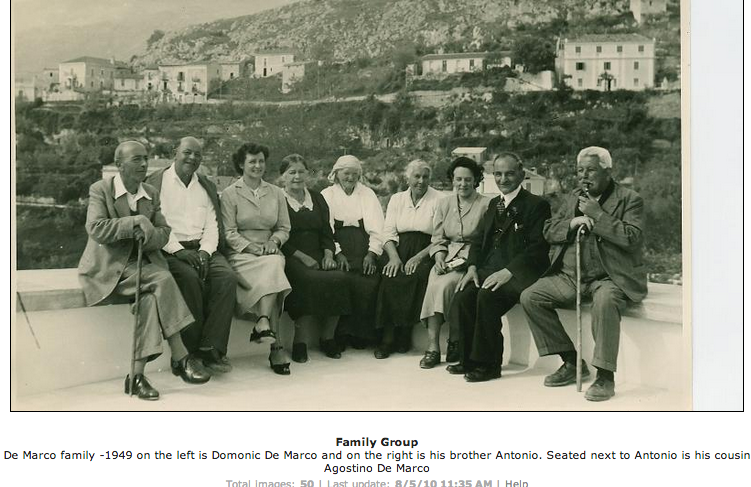 Thank you for the information about my Grandfather, Luigi Demarco, who was the father of Bert Demarco. I am told that my Grandmother, Maddalena Valente, was born in Cassino. She was working in the mills in Brechin, when she met Luigi, and the rest is history. Luigi was in the Italian army in the first World War, and was decorated, receiving the Silver and Bronze medals (Presented by the King of Italy), The Italian Campaign Medal, the British Military Medal, and the Croix De Guerre. Love reading through this Helen as I do from time to time to remind myself what an amazing family we have. We note on my Grandmother Delezia Demarco. I can confirm she was actually born in 1896 in Church Street, Partick, Glasgow. One sister was more generous than the other with the orange squash and the ice cream syrup! We have a photo of our Mother sitting in the cafe? To save DEMARCOS but when the last sister passed away they knocked it down to build a Safeway for the greedy locals! Please note the locals ruined the charm of Carnoustie! DEMARCOS was right in the middle of the high street at the cross – apart from the golf it Was Carnoustie! I can still smell the coffee! I felt urged to look into the history of this person as the grave is unkempt and alone. My mother said that back in the day, if a person committed suicide they were buried away from the rest of the departed as their souls would not rest……………. I am hoping that this is not the case of course. Hello, I hope you dont me popping into your conversation. I am trying to find out my family history and Valvona and Crolla keeps popping up. I have read the artical and am trying to understand why the delicatessen has Valvona in the name? What connection my family name has to the Demarco/crolla family? 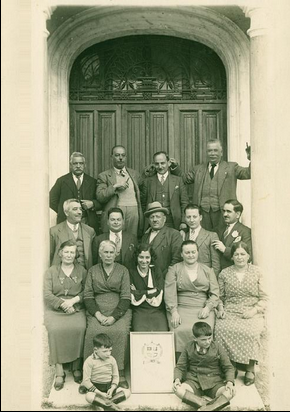 This branch of the Valvona family came from Atina, Frosinone, Lazio in Italy. The Valvona’s however arrived in Scotland some years before the Crollas and were in fact naturalised in 1899. 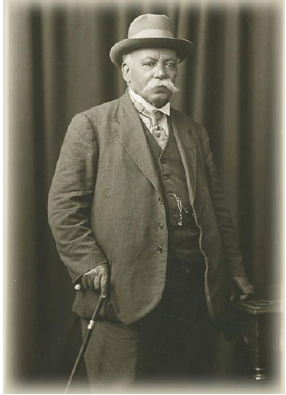 The branch stems from Gerolmo Valvoa who was born circa 1800, then his son Antonio born 1829 who married Anna Coppola 1834. It was Antony and Anna who first arrived in Scotland and settled in Leith. They became involved in the confectinery trade which was at the time a booming business for the Scots and their love of sweet confectionery. Their son Benedetto was born in Atina in the year 1864. In Scotland Benedetto married a Scots girl by the name of Margaret Lemmon who was born in Doune in Stirlingshire. They married in 1893 in Edinburgh. They had four children all born in Edinburgh and naturalised in 1899. They were Raphael, Paulo, Raimondo Victor and Marie Caroline. The family lived in Great Junction Street in Leith. It was Raphael who first introduced the Crolla family into the delicattesan and confectionery trade. He partnered up with Vittoria Crolla who was born in Edinburgh in 1915. The Crolla family were from a village called Fontinune up high in the Abruzzo Mountains, south of Rome. The village in the late 1880s had only about 100 inhabitants, and nearly all with the Crolla surname. In Italy the family were self sufficient, they farmed crops on the land and farmed sheep. There was also vines which grew on the steep slopes of their little piece of Land. 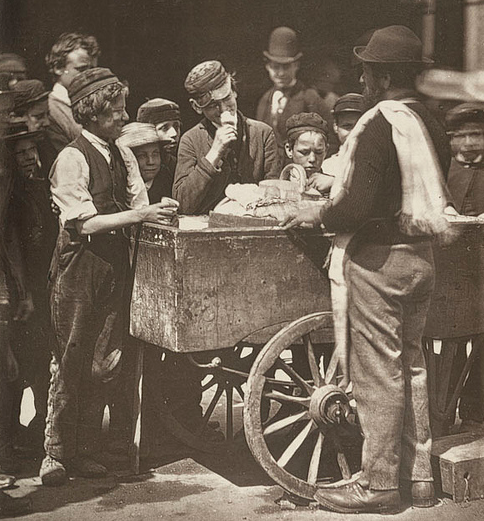 But despite their self-sufficiency the families from the area were poor and by the end of the 1880s many of the locals left, and it is documented that the Crolla brothers left on foot, for a chance to get a ‘better’ life elsewhere. The brothers walked down the old Roman Appian Way. They then turned north to Genoa and over to France and eventually to Calais where they crossed into England. They met relatives in London, and it was known that their own father Philip had already been in London, but returned home to Italy, and it was here that the brothers decided to come north to Scotland. The rest really is history, with the family settling in Edinburgh. The Crolla family had set up a business in Easter Road in Edinburgh selling ice-cream and confectionery. It was only natural that after he left school at 14 Victor worked here with his father and uncle. Vittorio Crolla, or Victor as he became better known, and Raphael Valvona, with his father Benedetto at the helm, set up business in the year 1934 in Elm Row. This business is still there today with the descendants of Victor still very much in charge. Sometime after the business started Benedetto with Raphael left the scene but allowed the family to continue with the Valvona name over the shop front. Raphael’s son Raymond died at the tender age of 16 at Sea in the Merchant Navy. It is thought that this had a real impact on why the Valvonas left the business. Benedetto died in 1944 and Raphael in 1954. As for the Demarco connection. Victor’s Brother in Law was Lorenzo Demarco. There were many Italians who were interred during the War. Alfonso Crolla and Lorenzo Demarco were both to perish in the Andorra Star.